We revisited Eagle Lake a few weekends ago. Just a few months later, the trip was a completely different experience. The warmth of July drew packs of people to the Lakes. I remember at least five tents. Dustin, Logan and I battled through alder bushes to enjoy an incomparable view, above everyone else. 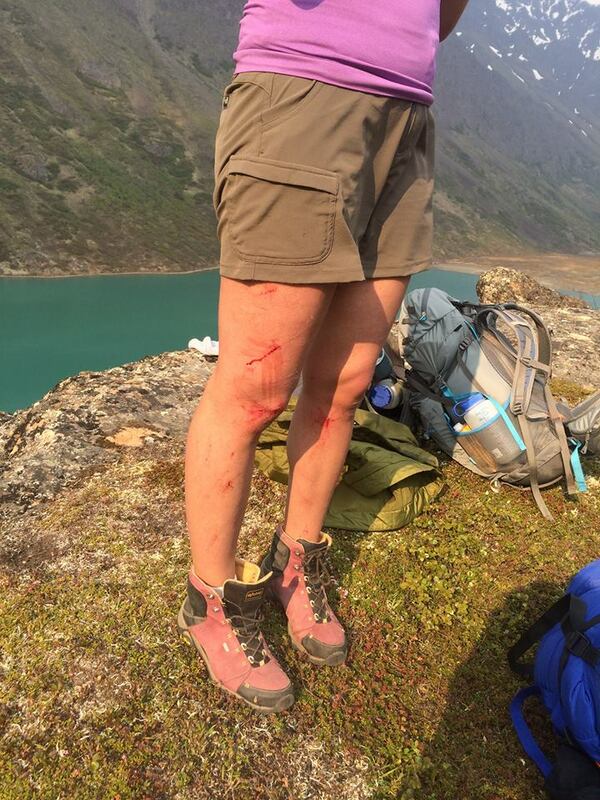 At the time, I was full of complaints, especially after I realized the alder bushes left me with numerous scratches. The forest fire induced haze made for a beautiful sunset, which we enjoyed in quiet. Our difficult traverse was well worth the trouble. 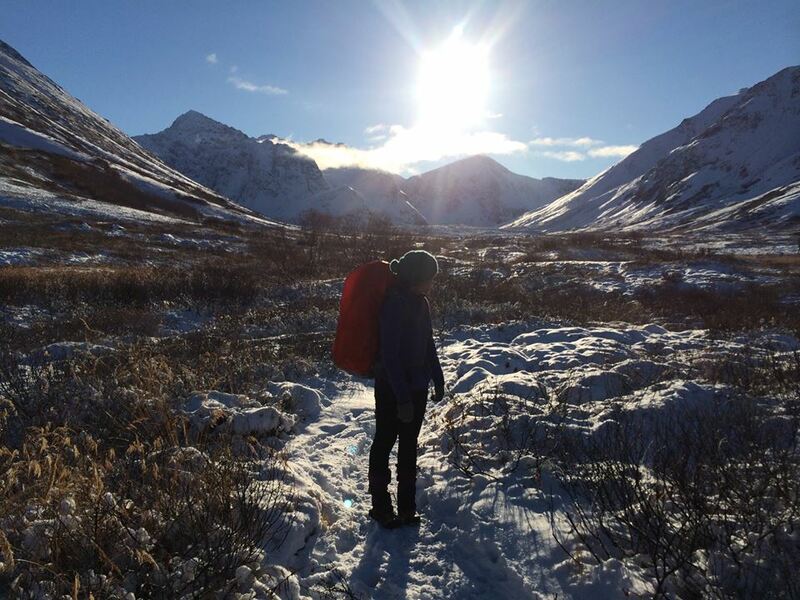 In October, solitude, chilly weather and gorgeous surroundings (again) resulted in a unique, but equally enjoyable adventure. As usual, we left late in the afternoon. The trip started on a somewhat negative note when a dog bit Dustin, with no provocation. It simply trotted over to us, sniffed me, then nipped Dustin. Equally unsettling was the owner’s nonchalance about the incident. We soldiered on, grumbling on about the lack of trail manners. In very little time, we reached the dreaded boulder field, now glossed over with several inches of snow. I regretted leaving my trekking poles behind, but Dustin gallantly lent me one of his allowing me to make it across. Initially, I hoped to explore Ewe Valley, an unofficial name for the back-country past the Lakes. By the time we reached Eagle Lake around five, a heavy fog moved in. Dustin joked about continuing on to Ewe Valley, but the side trip was completely off the books in my head. The darkness increased the eeriness of the fog. Luckily, Dustin calmed my nerves with lots of yummy food. I brought a book to read, but could not bring myself to really start it. 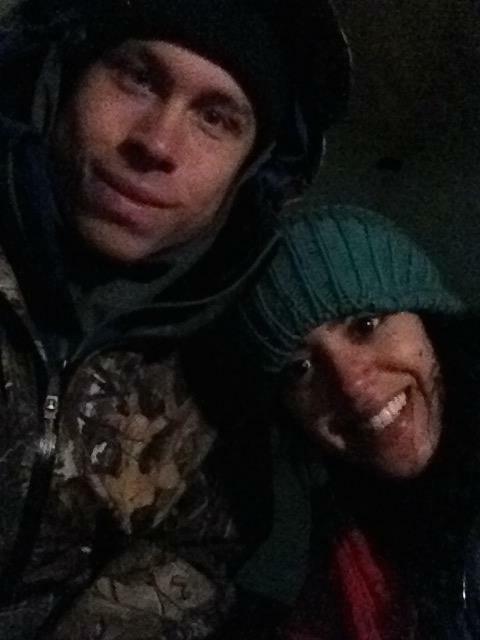 Instead, Dustin and I lay about talking about the trip, before falling asleep. 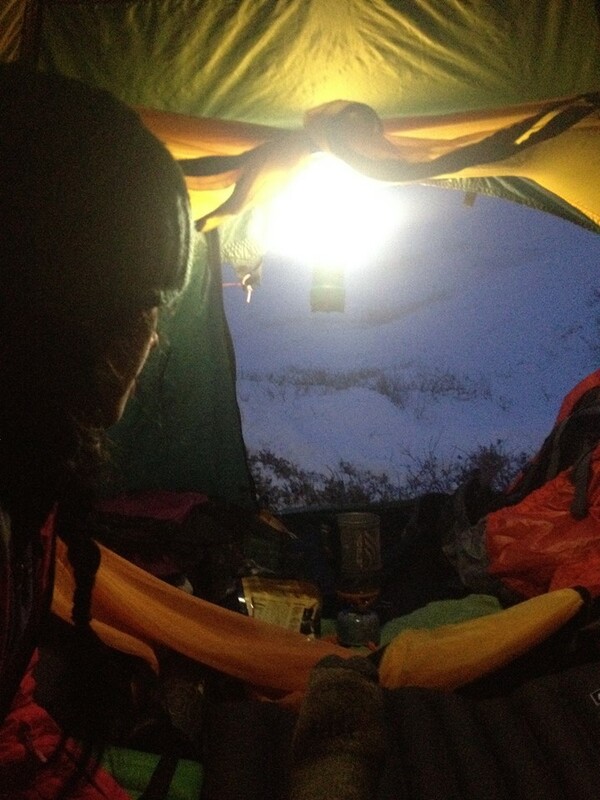 The next morning greeted us with a beautiful sunrise and encouraged us to get on our frozen-literally-boots. We made the rookie mistake of forgetting to dust off our boots. Never again. As I contemplated frost bite and imagined the snacks I would make, Dustin powered ahead. Even after warming up, I lagged behind. We made it back to the car by 1:30 to enjoy half-finished iced Americanos. Overall, I recommend the trail to Eagle and Symphony Lakes. 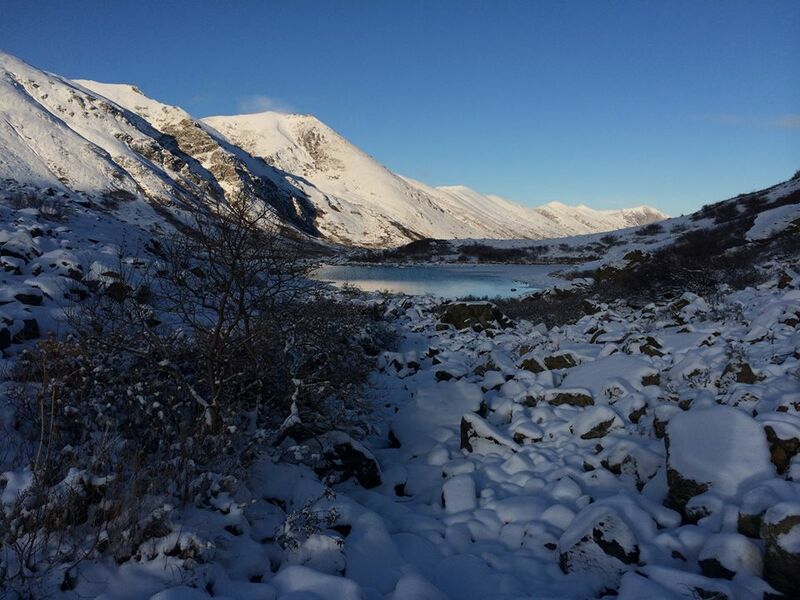 In the winter, barring the day hikers, few visitors seem to frequent the Lakes. In addition, the trail is very well-maintained up to the boulder field, making for easy, enjoyable travel. However, one should remain vigilant for avalanche danger, especially later in the winter. When we travelled, there was barely any snow on the mountains and only a few inches on the trail. 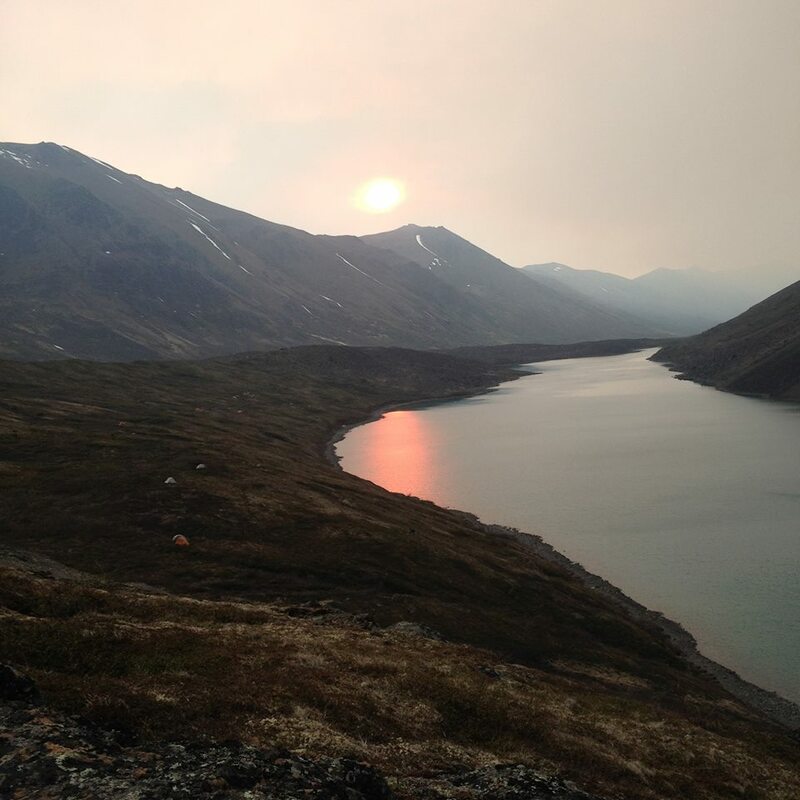 If you have just a night to enjoy the solitude and beauty of Alaska, definitely check out Eagle Lake! If ever you want to do a guest post on Turquoise Compass just run your idea by me and it would be my pleasure!